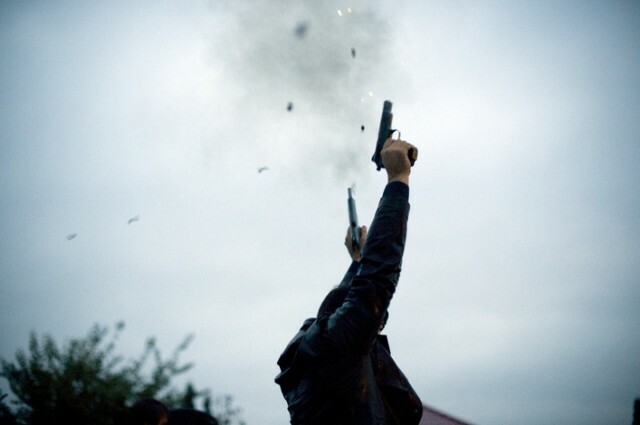 PESHAWAR: Four involved in heavily aerial firing during a wedding ceremony were arrested in the provincial capital while notices were issues to two police officers over slackness. The relatives and friends of bridegroom during a wedding in Gulbahar area of Peshawar on Saturday-Sunday midnight had opened heavy aerial firing creating panic among the residents of the area. The authorities taking notice of the incident had directed for action after which four culprits involved in the aerial firing were arrested. Meanwhile, show cause notices were issued to two senior officials including DSP Gulbahar and SHO for not taking instant action against the culprits.